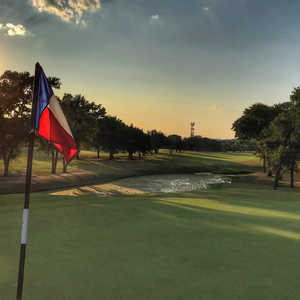 AUSTIN, Texas - In 1923, the Austin area had one golf course in the city proper - Austin Country Club. Unfortunately, it wasn't open to the public. In 1924, that changed. Lions Municipal Golf Course, or "Muny" as it is called by those who know it well, officially opened in October 1924. The opening of the first nine holes was announced in the Austin-American paper. The headline read: "Nine holes on course ready; Heavy timber cleared for scenic beauty." In the accompanying story, John H. Tobin, the Lions Club's finance chairman and a founding member, said the course is "one for all Austin." The story said the course had been under construction since June, but there was no mention of a designer. Some 87 years later, the designer of the course is still in question and the subject of great debate. One of several stories identifies Tom Penick, the older brother of legendary golf teacher Harvey Penick's, as the main designer. Before he became head pro at Lions from 1928-61, Penick was an Army road engineer in Europe during World War I. His background of building roads and water drainage systems lends some credence to the story. Texas Golf Association President Bill Penn, an Austin golf historian, said that Penick had a great deal of input on Lions. "I always felt like, based on what I had heard, that the course I first played in 1945 was probably designed by Tom Penick, even though the course may have been different before he got there in 1928," Penn said. Another theory has architect John Bredemus as the original designer. According to Frances Trimble, a golf historian whose book "One Hundred Years of Champions and Change" chronicles the history of the Austin Country Club and golf in Austin, believes that Bredemus was the original architect. In the four years before Tom Penick came to Austin, Dan Kenny, a former Canadian Open champion, was Lions' first pro, Trimble writes in her book. She theorizes that Kenny was in charge of course construction. Bredemus, a civil engineer who in 1936 designed Colonial Country Club in Fort Worth, "shunned clubhouses and notoriety," according to Trimble's book. He was designing new holes at Austin Country Club when Lions was being built, and Trimble says she's "99 percent certain" that he was involved with Lions' design. "There were too many people involved with Austin Country Club and the Lions Club," she said. "It was probably a matter of working a little at Austin Country Club and when the crews were not needed, shifting part of the crews over to Lions." Zack Fleming, head professional at Lions today, said he believes Bredemus and Penick combined on the effort. "Bredemus was in Breckenridge and he came to see Harvey and Tom in Austin. They probably worked on it together." Interestingly, the city of Austin Parks and Recreation web site lists the Lions Club as the course designer. One thing is sure about the Lions Club; the organization officially turned the course over to the city in 1929. Whoever the course designer was, they put a premium on shot placement and maneuverability of the ball. Trees, including various oaks, cedar, and pecan line many of the holes. Any errant shot that lands in the tall sticks will almost certainly cost you a stroke or two. Doglegs on more than half the holes also require accuracy and proper club selection off the tee. 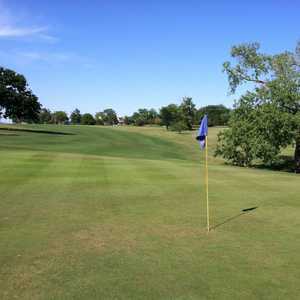 Although trees and doglegs make the course challenging for the advanced player, it is also a course where the newcomer can hone his or her skills. The number of rounds per year reflect that all skill levels enjoy playing Lions. More than 85,000 rounds were played last year. Two years ago, the course played host to the most rounds in the state at almost 100,000. Without question, the large volume can create slower play. Fleming said the players know it coming out and take it in stride. "We try to marshal the best we can but the course is too compact and doesn't really lend itself to fast golf. With all the trees, it reaches a maximum capacity early in the day." From the early days and its unknown designer, to the present as one of the busiest courses in the state, Lions has had its shares of ups and downs through the years. With its early beginning, the first test came in the 1930s and the Depression. Fortunately, for Austinites, it survived. Forty years later, it wasn't economic hardship, but the property owner that almost erased Lions from the Austin golf course scene. The University of Texas, which owns the property, and its regents, announced in 1972 they were reclaiming the land and were planning to build student housing in its place. The "Save Muny" campaign was born. After years of negotiating, the course was saved. Through the years, Lions has undergone two major hole redesigns, in 1951 and 1976. The course is currently undergoing its third renovation but it doesn't affect play. 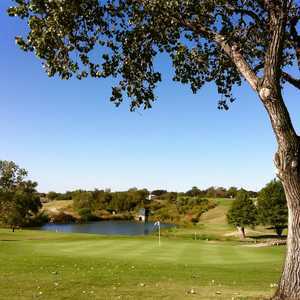 Fleming said they are in the process of installing a new irrigation system and adding a cart path to the back nine. With its long history, numerous well-known golfers have played the course including two-time Masters champion Ben Crenshaw who shares the course record at 61. The most famous player to step on the course occurred in 1950 when Ben Hogan teamed up with Harvey Penick to play against Ed Hopkins and Texas golfing legend Morris Williams Jr. in an exhibition match. The story goes that the soft-spoken Hogan stumbled around the first hole as if he had stayed out a little too late the night before. His playing partner Penick, their competition, and the crowd were all stunned. Then after the first hole was complete, and his team lost the hole, Hogan got a big smile on his face and lit up the course the rest of the round. Penick and Hogan eventually won the match, much to the delight of the crowd. Before they finished, Hogan stood on the No. 16 tee box (No. 7 at the time) and muttered words that are still repeated today. "Where's the fairway?" he asked. Hogan was referring to the par-4, 381-yard hole that featured a mound in front of the tee that made for a blind tee shot. What was visible beyond the small hill was a large tree short and to the right. In addition, there was, and still is today, a cluster of trees on the left that jut out into the fairway and force you to go around them and over the small pond to the elevated green, which features a considerable slope on the right. Fleming said since Hogan played the course, the tree on the right has died and the mound in front of the tee box has been removed. He said the slope on the right of the green has also been lessened to give players a chance of missing slightly to the right. "Before, it was a drop-off on the right and the ball was lost over there." As a result of Hogan's comment, No. 16 is referred to as "Hogan's Hole." After the match, Hogan signed a few autographs and made one last comment about the course. "It's so good, it makes you think you're not in Texas."